World number seven Tomas Berdych has appointed Andy Murray's former coach Dani Vallverdu for the 2015 season. Vallverdu, 28, left Murray's coaching team last month after five years, in a split described as 'mutual'. Berdych, 29, had been looking for a new coach after most of his rivals made big-name appointments. 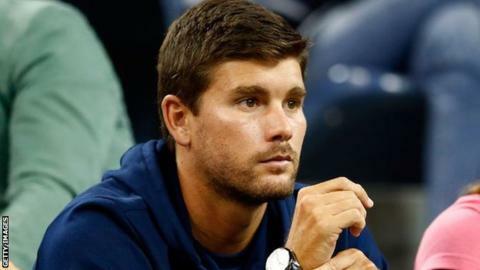 He approached Ivan Lendl, the man who helped Murray to two Grand Slam titles, but said the eight-time major winner was "too busy". Posting on Facebook on Tuesday, Berdych said: "Dear fans and friends... my new coaches for next year will be Dani Vallverdu and Azuz Simcich. "Thank you to Tomas Krupa and David Vydra for a great time and fantastic work." Murray met Vallverdu when the pair were teenagers at the Sanchez-Casal Academy in Spain, and the Venezuelan worked closely with Lendl during the Czech great's two-year stint with Murray.